I can’t remember the last time I pulled out a paper map to find my way somewhere. GPS receivers have been the norm for finding your way around for many years now and while more and more vehicles come with GPS receivers built in, those are still not the vast majority. And while it’s easy to pull out your cell phone for that functionality, it’s not the safest. Stand alone receivers also give more features. Enter the Magellan RoadMate 5375T-LMB. · Free Lifetime Map Updates: Real-time, traffic updates sent directly to your GPS unit to avoid traffic jams and other delays. · Free Lifetime Traffic Alerts: Real-time traffic updates sent directly to your GPS unit to avoid traffic jams and other delays. · Portrait/Landscape Mode: Two viewing modes adapt to your personal viewing preference. Landscape mode provides an improved peripheral view of your surroundings; while Portrait mode provides an extended view of the road ahead. · 5” Touch Screen Display: Large display with day and night views for easy visibility. · Address Book: You can definitely get there from here! Create and store personal points of interest and skip repeated address entry. · Dimensions (English): 5.6" x 3.4" x .59"
The Magellan RoadMate 5375T-LMB came in a nice looking, color printed box. Opening the box revealed all the accessories including the owner’s manual, power cord, and window mount. The construction was mostly plastic, a very good quality and very good fit and finish. Build quality was very good, as it appeared and felt solid while holding it in my hand. The layout was very functional and easy to use. On the top is the power button. A single speaker was on the back with other connections on the side. The connections were for; power, AV and micro SD card. This allows you to use it as a stand alone longer for video or for photos. I really liked the features on the Magellan RoadMate 5375T-LMB. All GPS receivers will give you the ability to find locations as well as points of interest. Many will also include lifetime free map updates. The Magellan RoadMate 5375T-LMB also includes this feature. But a less common feature that is also found on the Magellan RoadMate 5375T-LMB are the red light and speed cameras warnings. Unless you like getting tickets, this is a very handy feature to have! I was excited to put the Magellan RoadMate 5375T-LMB to the test. Having reviewed their products in the past, Magellan has yet to disappoint. And having now reviewed their 5375T-LMB, I can say that is still true. The speaker was sufficiently loud, even at it’s preset level, so I didn’t have to adjust it at all. The audible directions were easy to understand and follow, although some of the pronunciations were amusing. I used it on a trip to Vegas, and in one set of directions I was told to take the Reno exit, but it was pronounced like Re-Now exit. Nothing against the product, just an amusing twist. Lane guidance was also very nice. The audible directions told us which lane to be in and the display will also clearly tell you which lane to use for where you need to go. I also completely forgot about the stop light camera feature, until once approaching a stop light, I received an audible warning, “stop light camera ahead.” I never had a problem with misdirection after entering in an address and setting it on task to get me there. And for a GPS receiver, that’s one of the best complements you can give. I guess you could say, I was pleasantly unsurprised with the Magellan RoadMate 5375T-LMB. Magellan makes an excellent product that works well and as advertised. That is what I have come to see with present and past Magellan products. Their reputation is important and they don’t just sit on past laurels. They are a company I would consider a safe bet. If you are looking for a particular product and don’t know who to buy, Magellan is always a safe choice. That is why I said I was pleasantly unsurprised. It is what I have come to expect from Magellan. Based on their design features, quality, and performance. 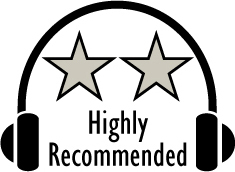 They have earned our Highly Recommended award. For more info and complete specs, check out their website at www.magellangps.com.